You are here: Home → Safari – where to go? A stay at Bushbaby River Lodge is not complete without a safari. But where to go? 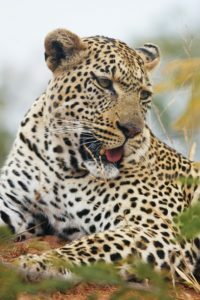 Many guests ask us for advice on the best parks to go to and want to know if the Kruger is better than other reserves. The world renowned Kruger is amazing, especially to experience the vastness of the area. But if you have little time on your hand, a visit to a (private) reserve may be more rewarding for you. We know exactly the best places to go to and we’ll take you to the same places other people easily spend thousands of rands a day and we’ll get you exactly the same sightings for just a fraction of the price! We always say, safaris don’t have to be too expensive, as long as you know the right people. But we only share these secrets with our guests. So, if you are looking for a rewarding safari experience without spending a fortune, just ask us and we will take you there.